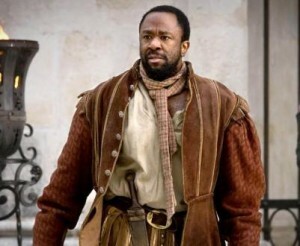 Lucian Msamati, originally from Tanzania and Zimbabwe, is a seasoned actor of stage and the small screen. 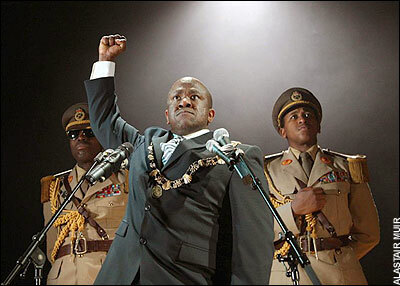 In 2010, he became the artistic director of Tiata Fahodzi, described as the leading British-African theatre, which has made placing Africans at the heart of British theatre, its primary goal. 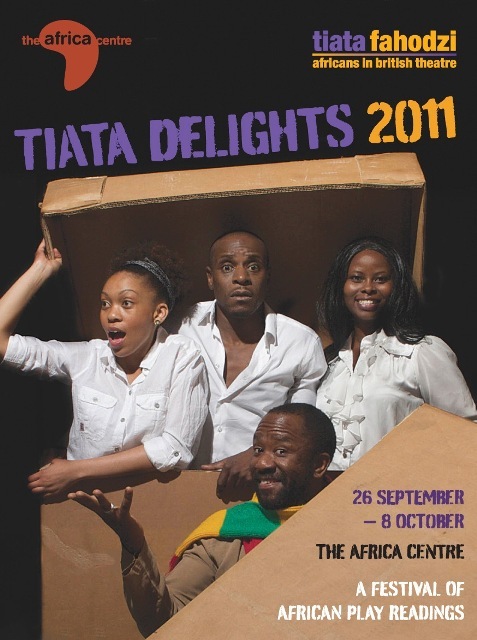 Under his guidance, the company recently celebrated its annual African play reading festival, Tiata Delights in London, a platform for showcasing plays by emerging and established writers to the industry and audiences. He was recently cast in the hit HBO series Game of Thrones and starred as JLB Matekoni in the BBC/HBO TV adaptation of The Number One Ladies’ Detective Agency. His theatre credits include Wole Soyinka’s Death and the Kings Horseman and the Pulitzer Prize winning Ruined, which explored the effect of sexual violence on the lives of Congolese women. In our interview Msmati talks about taking over the company, the challenges of telling African stories on the British stage, the need for a philanthropic approach to the arts and culture and why all Africans are not the same. 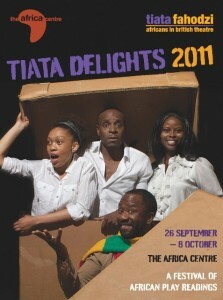 Belinda: The recent annual play reading festival was the first outing of the company under your directorship, what has your journey with Tiata Fahodzi been like since you took over as artistic director? Lucian Msamati: My first official offering! (Laughs) It’s been very eventful I must say, challenging, stimulating but all of that is on a positive note as such phrases can be misconstrued as negative, its all been positive and certainly a journey, an epic journey. Belinda: How would you describe the work Tiata Fahodzi is currently doing and what should the audience expect from Tiata Fahodzi moving forward? Lucian Msamati: As ever, the core of our work is to celebrate our cultural heritage and origin within the context of where we are and where we live as artists and citizens of the world from a particular cultural stand point. So, very much in keeping with that spirit, I would say that we continue to uphold and celebrate the values of the Tiata Fahodzi. Belinda: Tiata Fahodzi has come along way with its mission to produce world class theatre which celebrates and challenges the cultural experiences of Africans. Serving an all-inclusive British audience, during this year’s festival, you had writers from various countries, including Kenya, Zimbabwe and Nigeria. Why was it important to have a cross section of representation of the African experience based on the stories the writers had to tell? Lucian Msamati: When I first started talking to the board about the possibility of taking over the company, one of the first things I said was that I am a great fan of the work Tiata Fahodzi has produced and I follow the material obviously. But I am a bit concerned that we say we are an African theatre company, yet I see predominantly Nigerian work and that is while we obviously come from one place, we are not all the same. We are not all homogeneous. So, I was actively keen to hear other voices and it is a particular challenge because the Nigerian community in the UK is large and very well entrenched and of course has a great theatrical tradition, which is fantastic it in itself on one level but on the other hand, it drowns out and perhaps does not make room for the other voices or means of expression, all of which hold equal value and importance. As a result, that was something which I was very keen to not do but to educate if I can be so bold to say so, that we must never assume as much as we call ourselves Africans, a Nigerian and a Kenyan are not exactly the same. A Malawian and a Zimbabwean are not the same and Mali and Gambia issues might be similar but they certainly are not the same. People, don’t speak the same language and we are as diverse, intricate and complicated as the other and we should celebrate that more. We have aspirations and we should certainly try and not sit still. Belinda: I have seen you in previous productions like Ruined, Death and the Kings Horseman and The Resistible Rise of Arturo Ui, all of which are stories about the African experience, challenges among other themes they throw at you. Why is it important to explore African focused subjects and issues on the British theatre stage at a time when you have a huge population of Africans on this side of the ocean? Lucian Msamati: Unfortunately, the truth is, for all the great strides that have been made, socially, racially, politically and economically, there are still a lot of issues and maybe I am contradicting myself in a way, as much as I don’t want to become associated with these issues, I think we are artists first and foremost. Ultimately and idealistically, one’s colour or culture should be incidental and not the cause, as much as it might be the inspiration for what one does. The fact that these issues keep coming up and the fact that they are continuously being discussed and wrestled with, is testament to the fact that they do still play a role and as much as there are great strides that have been made, it isn’t all rosy. In actual fact, may I be so bold as to say for instance, the summer riots, lots of things were said and lots of debates came to the surface and invariably and inevitably, fingers were pointed, questions were asked and you do have to say on some level, there are is still an issue of perception and representation and an issue of disenfranchisement as much as it is transcendent immediately the foundations of the nations are challenged. Suddenly the colours come out and it makes you feel, it is only skin deep after all. Belinda: Tiata Fahodzi has achieved so much in terms of breaking barriers and setting new agendas on the British theatre stage, how would you describe the current state of the contribution of African playwrights to the theatre landscape of Britain? Lucian Msamati: That is a very interesting question. I think that by comparison to say 20 years ago, there are certainly sound grounds that things have changed for the better on the whole. If anything, Tiata Fahodzi is a demonstration of the fact that in its life time, there have been such great strides in terms of representation and the material that is out there. However, I do think there is so much more room and more scope for interrogation and wider scope of material and for the simple fact that there are artists out there who deserve more than to be defined by the colour of their skin if I can put out bluntly. The struggle continues, not a militant struggle but a struggle for enlightenment, everyone’s place to be celebrated, a level playing field for all. In that sense, I would say yes there has been good progress but so much more could be done. Belinda: How difficult have you found your quest to continuously tell AFRICAN stories on the modern day British/European theatre stage? Lucian Msamati: Well it does continue to be a challenge because there is a certain level to which those who are, for want of a better expression, have the means to make things happen are perhaps only and arguably only comfortable with a certain type of interpretation and story and more often than not. To make the analogy clearer, I remember years ago, when I was walking with a director fried of mine and we were having this discussion and one of the things he said to me was, who are you writing this for? Of course, being an artist, you think, I am writing it for everybody and he said no, “Who are you writing this for? Who is going to see this?” If you are writing it for the modern British stage, the vast majority of people, who are going to come and see it, are going to be white middle class. Now from a producer’s point of view, we are then thinking money needs to be made? Therefore are you going to hit this people with social or politically complex and intriguing work that they don’t understand or are you going to find a way to read it through the eyes of a Guardian reader or a prism that they understand? Without deviating, one of my favourite lines of all time if from Death and the Kings Horsemen is when the character Orunde said, “You people have no respect for what you don’t understand.” The reason it got a round of applause every night we performed is because it does ring true for a lot of people of our various extractions and constituencies. If it is not written in Guardian speak or Telegraph Speak or Radio Four Speak or BBC Speak, then it is not right or valid and has no place. Sometimes, it does feel odd and one has to be careful what one says because I certainly and by comparison to others have been incredibly successful. But I would then say what I point out is not in any way to spit on what I have achieved but to actually say well, I am celebrating it and there should be more. This should be the standard. We shouldn’t have to be talking about equal representation and who will understand this and why that story should be said this way or that way. There is no need for it in an ideal society. Belinda: Are enough new and quality writers coming through or is it still very challenging to put on the work of an African playwright in comparison to their British counterparts? Lucian Msamati: It is a double edge sword, I have to say it is a great position to be in and you do really get to see a different side. I have to say I am and was quite disappointed with the standard of material that came in this year. To be honest, a bit shocked and it is not because there is a lack of talent or ability. What I have noticed is that there are two things. On the one hand, you have literally got the work of those who are trying to be the next Wole Soyinka and aren’t and those who are trying to write a story based on the internet and have not written anything and then sadly, and I suppose more disappointingly, there seems to be a lack of interest in things beyond one’s own parish. If you have grown up for example on a farm in the middle of wherever, obviously, your world view is going to be affected by that. You are going to tell stories based on that or around that because that’s who you are. However, when everybody who is a writer from that same farmland starts telling the same story from that same farmland in the same way with no variation, you can’t really accuse those who produce and put things on if all they are getting is the same. So one of the first things I said when I put out my call for writers, we need to shake things up intellectually and creatively. There are different ways for voices to be heard. The best plays reinvent themselves. I would say there is still a long way to go to in my observation. Belinda: In addition, funding is always an issue, especially at a time when there have been so many cuts, is that a challenge Tiata Fahodzi has had to contend with? Lucian Msamati: Absolutely! First and foremost, we are incredibly grateful that we survived. The axe fell quite brutally and quite rightly. There was no ethical question that it had to happen. Obviously, it has made all of us more creative and find alternative ways for raising funds. We have an amazing board here at Tiata Fahodzi but when you compare our board to the board of the Royal Opera House, when you have captains of the industries sitting on your board and with one call, can get you millions,. That is not a level playing field. And I am not complaining. That is the way it is. What I would therefore say is that, maybe now, not just as artists but those of us from other cultural constituencies to start saying what are we doing as a community to help? We have a friend’s scheme here at Tiata Fahodzi and it is very interesting because over time that we constantly discuss that we don’t necessarily…as much as we come from a culture that are communal in spirit, we don’t have a culture of philanthropy in the same way. When you ask someone to donate £5 a month, more often than not, they will say to you, well, what are we getting out of it? Where is my T-shirt, where is my hat and we know the reasons why? When you come from a background that are hard, money is a vital commodity. The challenge is for those of us out there to invest. It is not a question of giving £10,000. The gesture of giving over a period goes a long way. Belinda: Is funding also major issue for producing plays on the African continent based on your knowledge/experience and how can this be addressed? Lucian Msamati: I do think it comes down to a question of pragmatism. It is the fact that of I invest, I want to see a return. Sometimes, you gladly go to the big commercial companies, and they will okay, okay where can I put my products so that as many people as possible can see it, which is fair enough and they give you x amount of money. But that is not the only way to do things. Again, I personally believe that it is a question of the perception of value. What is the value of something? And some one, a chief executive for example, sitting in a big office in Lagos or wherever does not necessarily see that by investing in Tiata Fahodzi for instance, you are giving young John, who sees a production, has had a seed planted in him of wow! I can do that, I can be that. This person has given me an understanding of myself beyond what I see everyday. Unfortunately, it is not something that you can easily quantify. I think a disconnect has happened because a lot of people would talk about oh yes, I used to go the theatre and the players would come and do this and that at church or in the village life and it was part of life but all of sudden, there is a disconnect, and that value has become lost and if I am honest, the relevance of it. From the other side there is a question of if we, as artists are being smarter about how we sell our product and keep it relevant in an age of super technology where people have access to all sorts of things at the click of a button? What can we offer that will make people say I must go and see a show by Tiata Fahodzi or I must find out where will they be performing next? The potential is enormous. It remains untapped and it does take time and a hell of a lot of time. Belinda: In terms of putting the investment back into the sector? Lucian Msamati: That is a genuine and ongoing battle…even when shows on, as much as they have been wonderfully supported…the number of people from the constituents of the same culture, it is either they have no idea of those things to care… it is quite astounding, do we go out and find Denzel Washington to come on stage and everyone wants to come? Is that sustainable? We have had this discussion about what is the product and it is a genuine question, what is the product? How do you balance the art and the need to survive commercially, it is a valid question. Belinda: The line up of plays during this year’s festival explored various themes, from love to relationships among others. What was the message or point of discourse that you wanted to evoke in the audience? Lucian Msamati: You are the first person to ask me that. First of all, interest in the material and I suppose every single one of the pieces spoke to our age, shape and form. They were either directly addressing or inspired by a discourse or challenge or what is happening here and now in the moment as well as addressing bigger questions of identity and our ownership of that identity. So I suppose, in the grandest sense, a big jolt of stimulation to see that we are alive, active and these voices should be celebrated because they all have a lot to offer and contribute to the culture of the world that we are a part of and not just of their background. Lucian Msamati is currently starring alongside Lenny Henry in William Shakespeare’s, The Comedy of Errors at the National Theatre, London. Images: BBC and Alastair Muir. This entry was posted on Wednesday, December 14th, 2011 at 3:22 pm	and is filed under Africa, African Diaspora, Art and Culture, Black Britain, Interviews, Journalism, Theatre Interviews. You can follow any responses to this entry through the RSS 2.0 feed. You can leave a response, or trackback from your own site.